Starting the year on the right foot, Moto Philippines has just opened two new concept stores located at the 4th level CyberZone areas in SM North EDSA Annex and SM MegaMall; Both of which are operated by MemoXpress. These Moto Concept Stores carry the newly-launched Moto smartphone lineup, including its flagship line composed of Moto Z, Moto Z Play and the Moto Mods; the mid-range family, which consists of Moto G4 Plus, Moto G4 Play and Moto G Turbo; and the entry-level Moto E3 Power. "The Philippines is a very important market for Moto and we remain committed towards bringing the Moto experience to more Filipinos through our two new Moto Concept Stores. 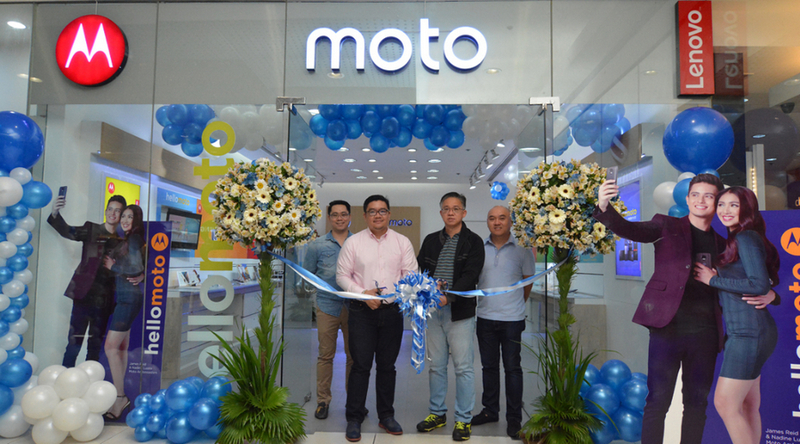 By offering greater product and service visibility, Moto is definitely on its way towards taking the Filipino digital lifestyle by storm," shared Mr. Dino Romano, Country Manager of Lenovo Mobile Business Group Philippines, which has brought all new Moto devices to the country. As part of its goal and vision to become the definitive #3 player in the global smartphone market, tech giant Lenovo is building scale and efficiency by expanding its Moto Android handset line across emerging markets, including the Philippines. Based on International Data Corporations (IDC)’s June 2016 report, the Philippines is currently the fastest growing smartphone market in ASEAN, the Philippines has seen a total of 3.5 million smartphone shipments in the first quarter of 2016 alone, . In January 2014, Lenovo officially acquired Motorola Mobility from Google Inc. for $2.91 Billion USD. Now a Lenovo Company, Motorola Mobility connects people to the mobile Internet with affordable devices that don't compromise on quality, experiences or style.